Risk has come to Facebook. Scrabble is one of the top iPhone apps. And several board games are enjoying a long life on game consoles. In the digital age, you better be ready to Hasbro-down. A long time ago, in a galaxy far, far away families had a game night–once a week they’d pull out a stack of boxes from a closet and everyone would flex their knowledge of trivia (Trivial Pursuit), vocabulary (Scrabble), or even their real-estate management skills (Monopoly, natch). You can check the :30 second mark of this clip from The Royal Tenenbaums to remember what a game closet looked like. 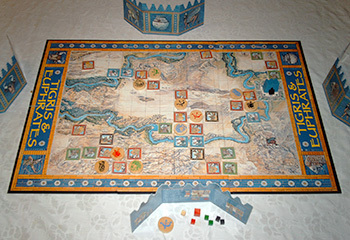 One of the most recognizable games from the past is Risk. For many, fond memories of long nights spent conquering continents and breaking alliances remain. 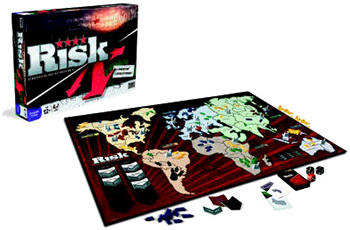 Hasbro, the publishers of Risk tried ten years ago to bring Risk to video games. But it, and many other of their board game adaptations, did not find success. And so Hasbro sold off their digital business in 2001. Since then, Hasbro has reinvented the game of Risk. “Instead of you taking over the whole world, you’ve got to complete 3 objectives from a pool of objectives, and the first one to do that wins. So that was a sea change for us, and we said, ‘Great! We’re gonna do that,&apos;” says Spencer Brooks, the producer of the digital versions of Risk for Electronic Arts. 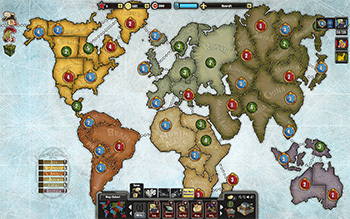 Risk is just one board game that has seen a surge in popularity under this Hasbro/EA partnership. Despite strong competitors in the digital realm–Words With Friends or any of the other thousands of word game apps–Monopoly, Scrabble, and the Game of Life have all taken off: all 3 games were in the top 20 for paid iPhone apps in 2011, and Monopoly and Scrabble made the top 20 paid iPad apps as well. 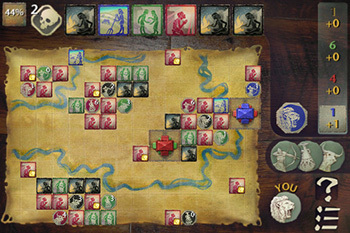 Other classic games, like Sorry and Connect Four, have flourished as part of EA’s Family Game Night releases–a series so successful, Family Game Night 4 was recently released and a television game show of the same name was created. “When we were looking to make a major investment into the world of casual social gaming in 2007, as opposed to doing it in one-offs, we decided that there was no stronger library of family loved brands that had the kind of range and diversity that Hasbro did,” said Lange, who manages the relationship between Hasbro and Electronic Arts. With Hasbro and EA working together, these board game classics are now all over consoles, smartphones, and social networks. 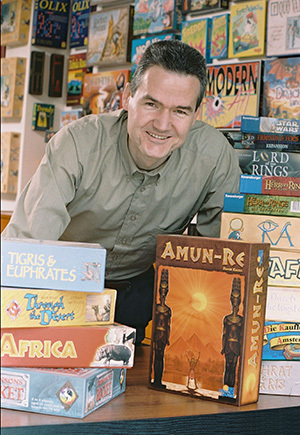 One such European company who has capitalized on the board game renaissance is Days of Wonder. 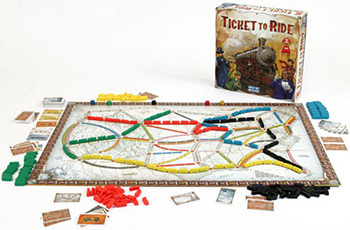 Their game of building train routes, Ticket to Ride, has sold 1.8 million copies since its release in 2006. 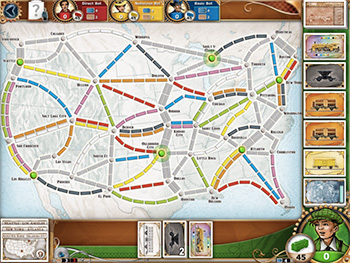 “Unlike the music industry, where for the most part it has been transitioning to digital, for board games the two experiences are complimentary,” said Days of Wonder’s CEO Eric Hautemont. Where Hasbro has found success in the last few years with the EA partnership, Days went it alone. They built an online version themselves–over 27 million games have been played online, with a new game starting every 4 seconds. After a few years, they brought the game to Xbox. And last year they released it for iPad and then iPhone. And this board-game renaissance won’t stop here. As time has shown, as tech evolves, so will the games. Scrabble players are already flicking tiles from their iPhones to the board on the iPad. And what lies beyond tablets and online gaming? There is no doubt that augmented reality board games will emerge, voice-controlled games for smartphones and tablets aren’t far off, and entire replications of the board-game experience on touch-enabled tables are inevitable–prototypes for Microsoft’s Surface already exist.